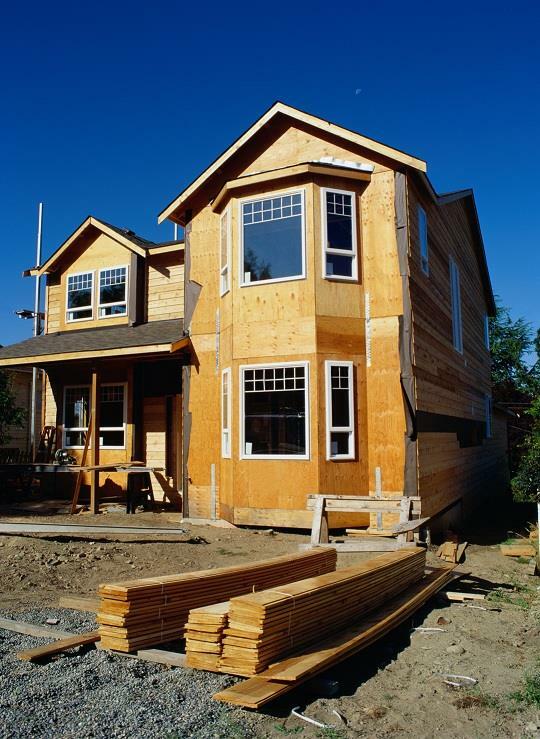 LAND TRANSFER TAX REBATE FOR BUYER'S, HOME BUYER'S PLAN, ENERGY PLAN. MORTGAGE Interest Rates. Get Pre-Approved Now! Rental Application Form Barrie, Ontario, Simcoe County. Barrie is a City in Southern Ontario, Canada, on the western shore of Lake Simcoe. Although located in Simcoe County, the city is politically independent. Barrie is within the northern part of the Greater Golden Horseshoe, a densely populated and industrialized region of Ontario. At its inception, Barrie was an establishment of houses and warehouses at the foot of the Nine Mile Portage from Kempenfelt Bay to Fort Willow. The Nine Mile Portage is an aboriginal transportation route that existed centuries before Europeans came to Simcoe County. The portage linked Kempenfelt Bay through Willow Creek, connecting Lake Simcoe to the Nottawasaga River which flows into Georgian Bay off Lake Huron. Barrie played an integral role in the War of 1812. During the War, the city became a supply depot for British forces, and in addition, the Nine Mile Portage was adopted by the British Military as a key piece of their supply line which provided a strategic path for communication, personnel, and vital supplies and equipment to and from Fort Willow and Georgian Bay / Lake Huron. Today, the Nine Mile Portage is marked by signs along roads in Barrie and in Springwater Township. You can follow the scenic path from Memorial Square all the way to Fort Willow. Barrie was also the final destination for one branch of the The Underground Railroad. In the mid-19th century, this network of secret routes allowed many American slaves to enter Barrie and the surrounding area. This contributed to the development (and name) of nearby Shanty Bay. On 31 May 1985, an F4 tornado struck Barrie. It was one of the most violent and deadliest tornadoes in Canadian history. On 12–13 June 1987, a sculpture called Spirit Catcher by Ron Baird was moved to Barrie from Vancouver, British Columbia, where it had been exhibited as part of Expo '86. 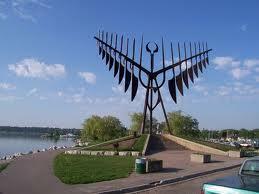 The sculpture was erected permanently at the foot of Maple Avenue on the shore of Kempenfelt Bay. However, with the re-development along the waterfront/Lakeshore Drive, the city is considering moving the Spirit Catcher to the gravel outcropping at the foot of Bayfield Street. In January 2004, Barrie made international news when its city police raided the former Molson brewery, and found Canada's largest illegal cannabis grow operation. Barrie's Park Place (formerly Molson Park) was chosen to host Live 8 Canada on 2 July 2005. The success of the concert contributed to the resistance to a plan to convert the concert area to a commercial district. However, the stage, buildings and many of the trees on site have been destroyed since construction of the Park Place commercial district has flourished into many successful stores. 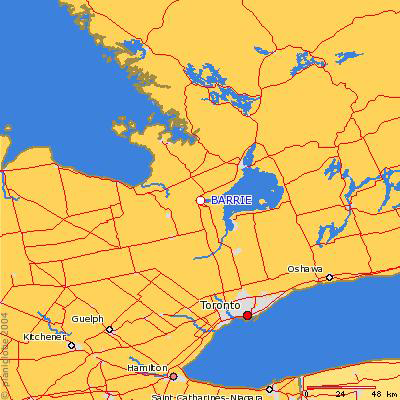 Barrie is located in the central portion of Southern Ontario, approximately 90 km (56 mi) north of Toronto within the Greater Golden Horseshoe subregion. It is accessible via Highways 26, 400, 11. Barrie's historic downtown area is situated in a distinct curved or wrapped valley, surrounding the western edge of Kempenfelt Bay. Terrain is generally flat near the city's centre. Moving up the valley slopes toward the city's north and south ends, the terrain can be rather steep in some areas. The city does not have any major rivers within its limits, but does have numerous creeks and streams, most of which empty into Kempenfelt Bay. The City of Barrie is one of Canada's fastest growing cities. In 2011, the Barrie metropolitan area had 187,013 residents including 135,711 in the City of Barrie's. The city's population was subsequently revised to 136,063. This population expansion is largely due to the young population profile and a growing number of Canadians moving into the city for economic and technological opportunities. Barrie has been designated an Urban Growth Centre by the Province of Ontario (Places to Grow Simcoe Area, 2009). Georgian College's main campus, with over 10,000 full-time students and approximately 25,000 part-time students, is located in Barrie. Georgian College offers a wide varietey of diplomas and is well known in Canada and abroad for many quality programs, an exceptionally high graduate employment rate (94% and the highest in Ontario), and student and employer satisfaction rates. Georgian College is home to the University Partnership Centre (UPC), which offers numerous Bachelor’s and Master’s degrees from various universities including York University, Nipissing University, Embry-Riddle University and Central Michigan University. The construction of the Centre for Health and Wellness will ensure Georgian has the capacity to expand its University Partnership Centre to offer even more degree and advanced-degree level studies. Georgian College is also home to the "Sadlon Centre for Health and Wellness". Opened in 2011, this $65 million, 165,000-square-foot (15,300 m2) facility has allowed Georgian to double the number of health program students to 3,000 and allows students to pursue health and wellness related certificates, diplomas and degrees, including advanced degree programs. It is also home to a variety of health care services teaching clinics open to the public, as well as leading-edge laboratories and technology-enhanced classrooms. The recently constructed "Centre for Sustainable Technologies" is also located in Georgian College's Barrie Campus. This new $8 million, 18,000-square-foot (1,700 m2) facility opened in 2009 and is home to construction and energy-related programming and skills training. The Centre serves as a learning lab with technology and systems that demonstrate where the future of the industry is headed on all building projects. Realty Executives Realtors are real estate Experts. They have the education and expertise you need to navigate through the process of buying or selling a property. From Listing at the right price to making the best offer, our Executives have the experience to make sure You get the best possible deal. Every day, they are immersed in every aspect of the real estate industry. Let our executives navigate you through the process of buying-selling.